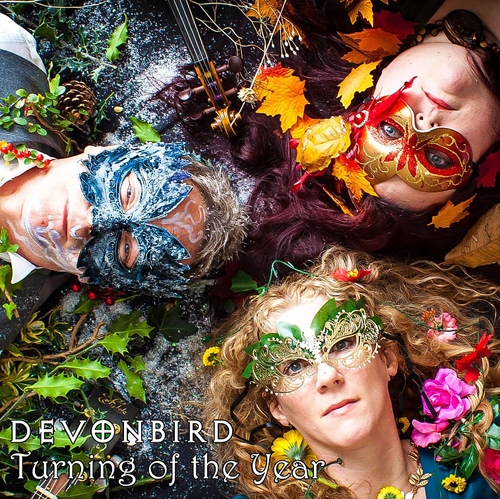 Southwest Music Awards ‘Best Folk Act’ finalists 2013, Devonbird, have brought an exciting new sound to the Devon folk scene (and beyond) in recent months. 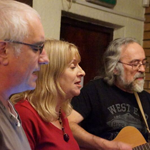 Devonbird – Kath Bird (singer/songwriter), supported by Sophia Colkin (aka Squeak) on violin and Andy Clarke on guitar and bouzouki, show their wide and versatile range and their passion for folk music, both original and traditional. The trio combine foot-stomping jigs and reels with haunting ballads and songs, often having their origins in old Devonshire folklore and dialect. The band has recently been described as having a clarity and purity of sound, vocally and instrumentally, which is both profoundly soul touching and magical. Devonbird have been touring local folk clubs, are being seen at folk festivals and have appeared on national and local radio. For their first studio recorded album, “Hangman’s Daughter”, they teamed up with well known folk producer Mark Tucker. The album is a mixture of hard hitting original songs such as The Brae, combined with such haunting folk songs as My Purty Jane, sung in the Devonshire Dialect.